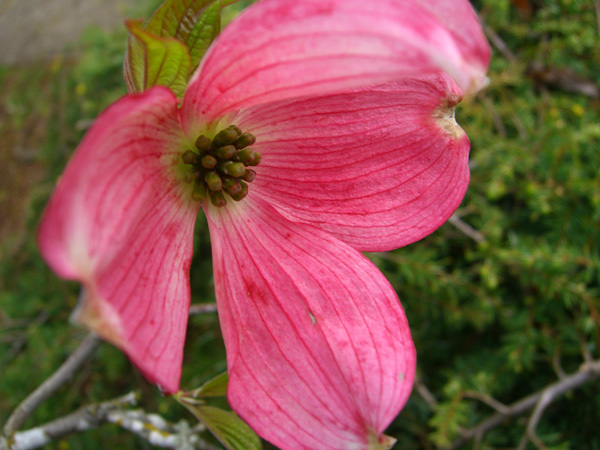 Here’s a little proof that spring really is here: my dogwood is blooming. That might not seem like a big deal to those of you whose dogwoods put on an abundant display every year. My dogwood blooms only sparsely and sporadically. That it has chosen to bloom this year, I will take as a sign of good things to come! It’s supposed to be in the high 70s today, with lots of sunshine. That’s what I think of as perfect weather. I hope all of you can find a way to get out in it and enjoy! And if the weather in your part of the world isn’t quite as nice, then here’s looking at better days ahead.